Fountain Grass is a small growing ornamental grass that works well in many landscapes throughout the Hudson Valley. This plant features a fox tail like plume during the summer. 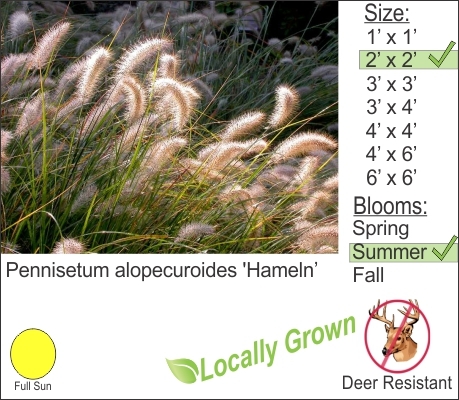 Fountain Grass is easy to care for and is deer resistant. Mix this plant with Echinacea, Blackeye Susan and Russian Sage to create a beautiful perennial garden.